Yesterday I learned about the Russian wedding tradition where the couple attach a lock to a railing and throw the key into a river. 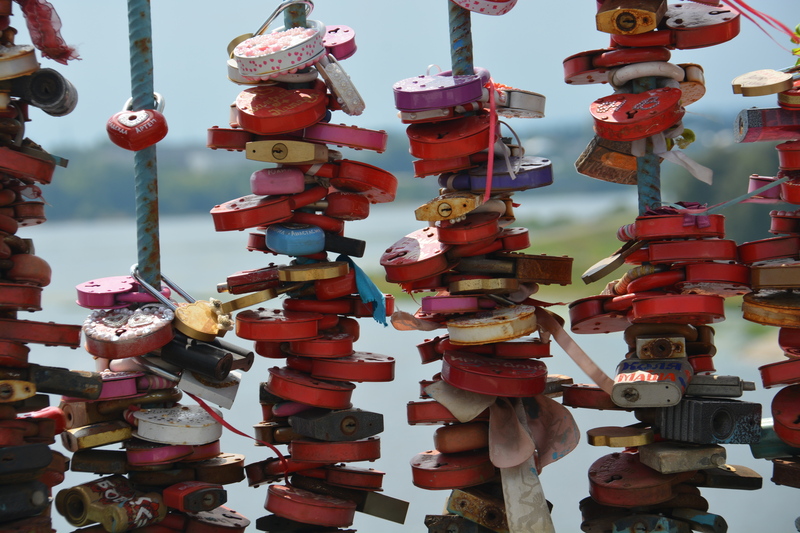 Today spied several locks in Kostroma on the Volga. This entry was posted in Observation and tagged Russia, traditions on July 21, 2013 by papish.